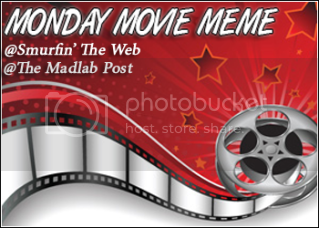 Each Monday, they post a theme and topic about movies and the characters and/or scenes within them. The object of this meme is simple – You write a blog post listing movies (or characters, scenes, etc. depending on the topic of the week) you’ve watched that fit the description. This entry was posted on Monday, October 1st, 2012 at 7:26 pm and is filed under Monday. http://TheDailyMeme.com/the-monday-movie-meme/ generated Tuesday, April 23rd 2019 at 5:55:43 am.